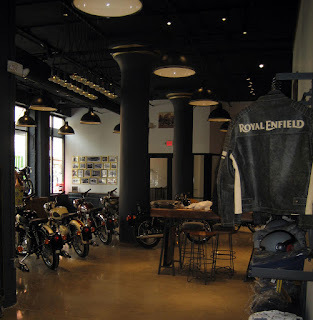 Royal Enfield North America puts on its best face for the United States. Royal Enfield Milwaukee Grand Opening is from 1 to 7 p.m. Saturday, Sept. 10, 2016 at 226 N. Water St., Milwaukee, Wis. Free to the public. 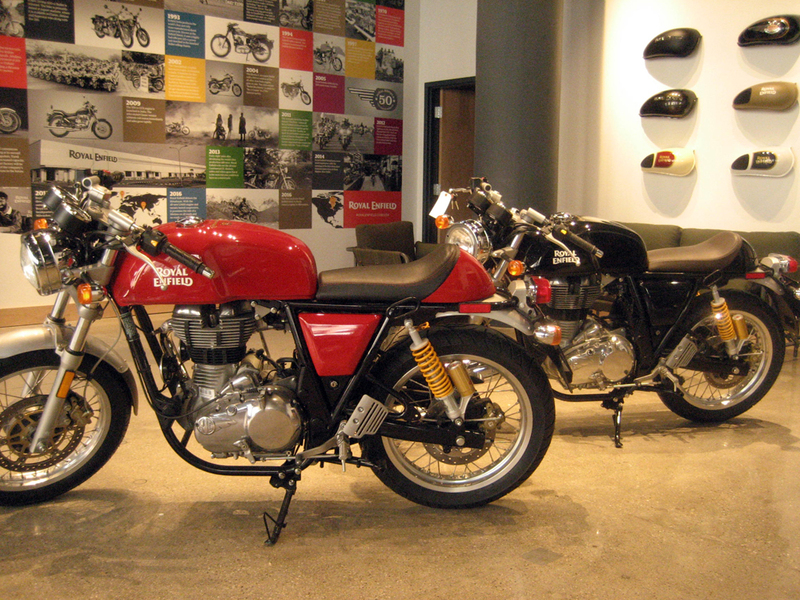 Today's the grand opening for the Royal Enfield North America showroom in Milwaukee, Wis. It's the continental headquarters as well as a showcase for Royal Enfield motorcycles and gear. 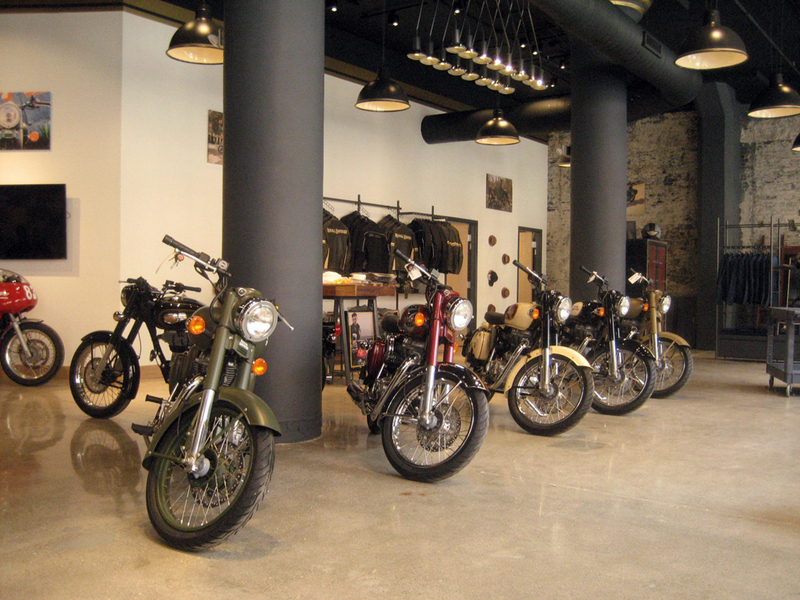 "Wife and I stopped by the RENA Milwaukee corporate office and showroom. They occupy a space of approximately (by my calculations) 7,500 square feet. 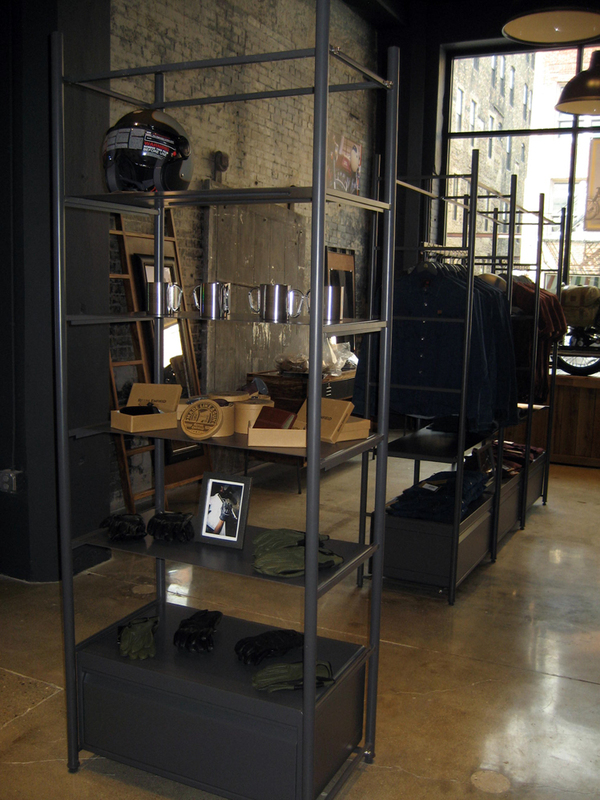 The showroom and accessories sales area is about 2,500 square feet and is in the front of the space facing the street. Royal Enfields models line up in spacious showroom. "We met the PR ladies and they are busy squaring away their marketing... and meeting with dealers showing up for meetings. 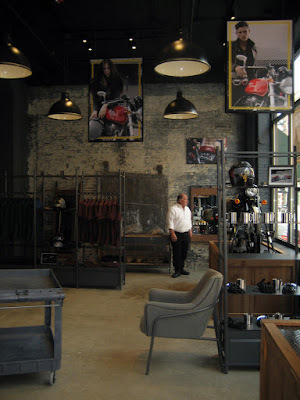 "I ran into a gentleman from Pennsylvania interested in getting Royal Enfield into his motorcycle showroom. 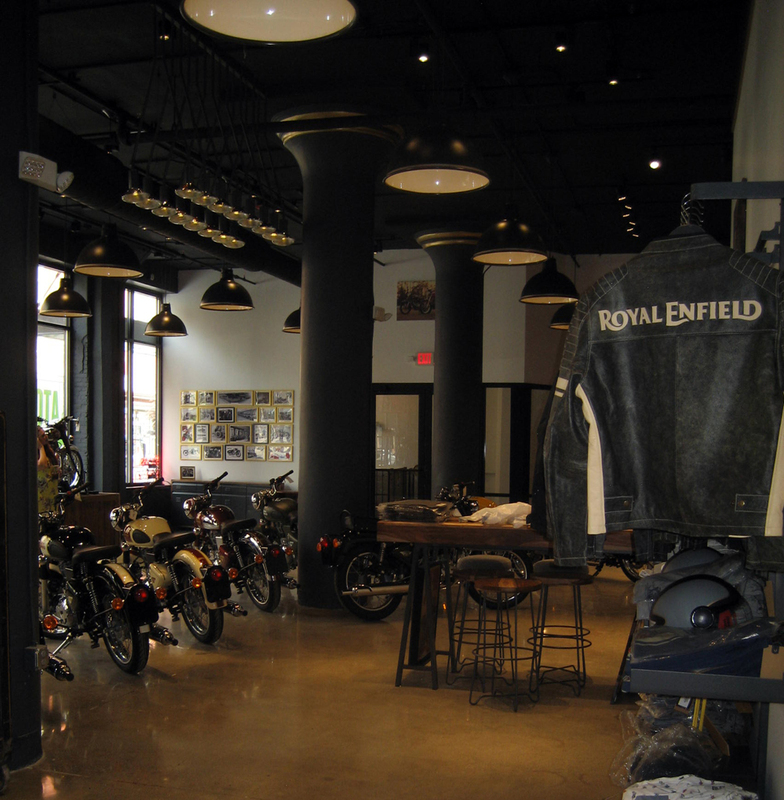 Royal Enfield's Milwaukee showroom looks inviting. 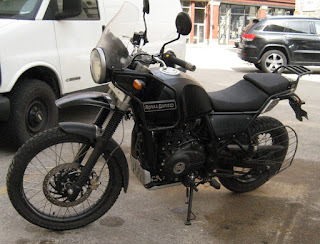 "I asked them about the twin and they are candid about moving what they make now and marketing the bikes at a very select and targeted audience: the back road wanderers, the secondary road travellers, people running errands and shade tree mechanics. 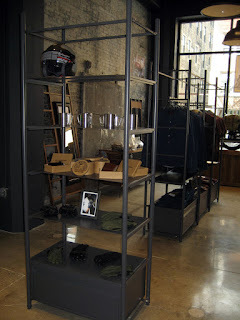 Nostalgia, bare brick displays a pride in the past. 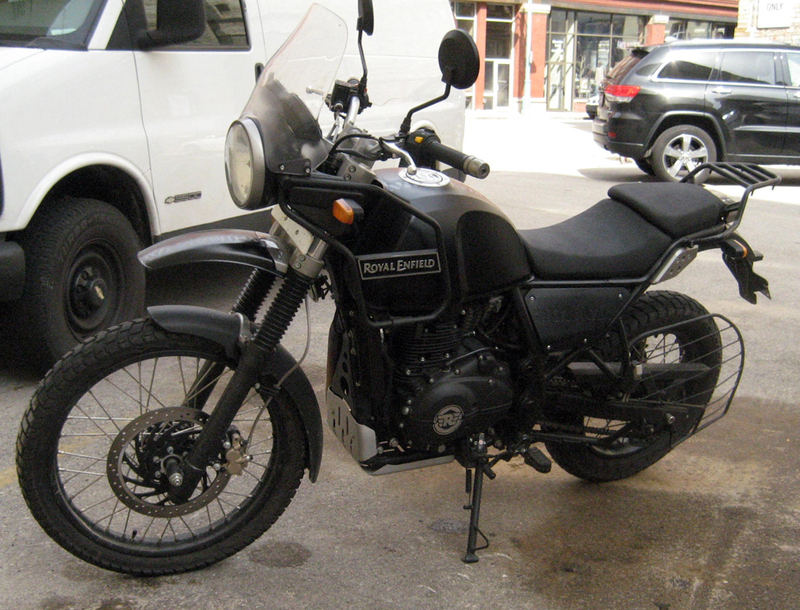 ...while the Himalayan in the parking lot hints at the future. Good to see they are thriving and attempting to break into the US market, as they have in UK where they have opened up similar premises.